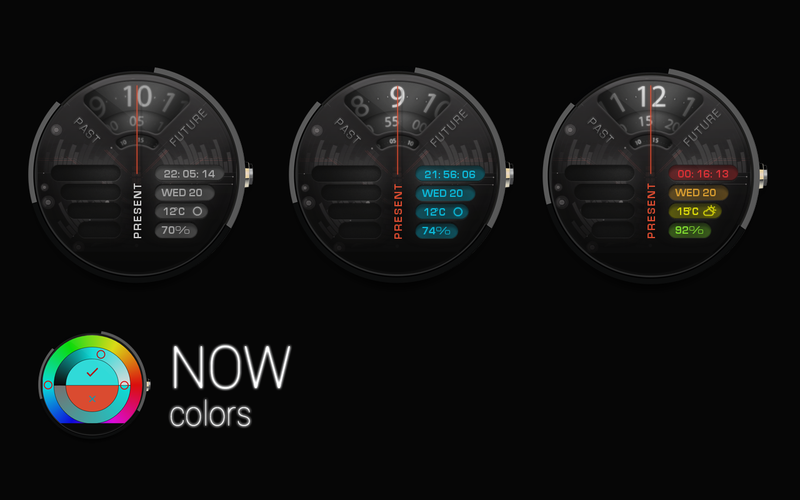 A lot of round watch faces try to look exactly like traditional analog watches. 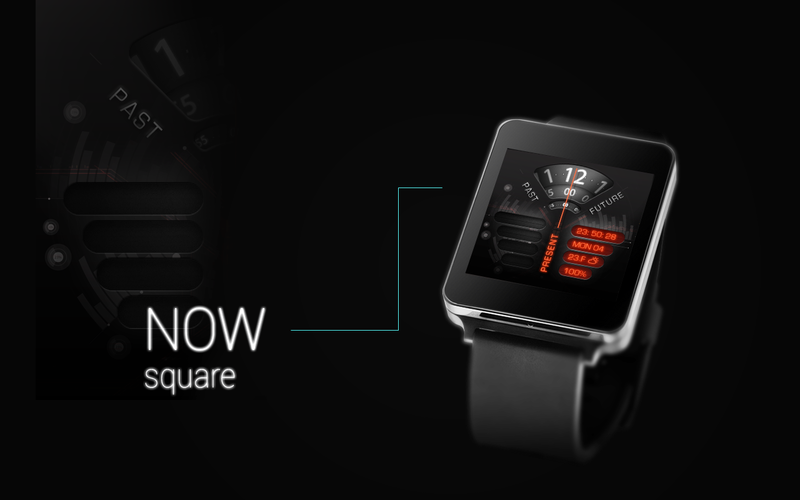 Sometimes that's what you want, but the NOW watch face from Tha Phlash is a fun alternative. It displays the time in a small window at the top with past, present, and future helpfully marked in case you ever forget which way time moves. 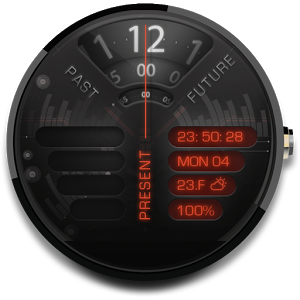 The time is displayed on a series of spinning discs that come into view at the top of the watch face and align with the "present" marker. 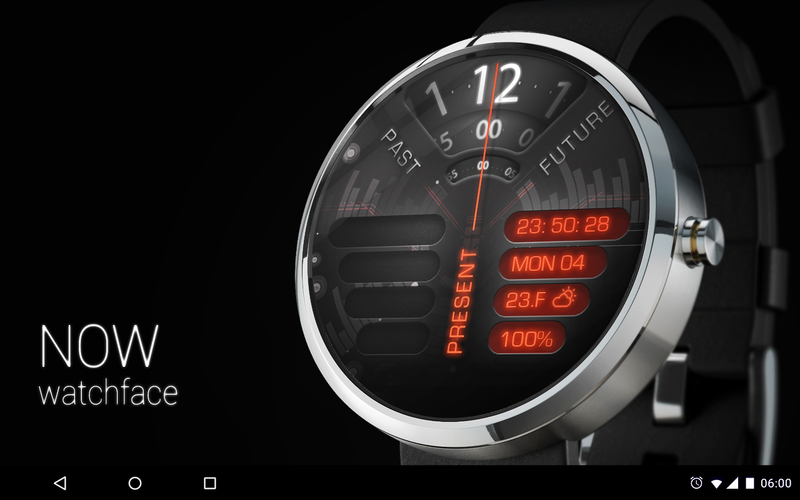 It reminds me a little of one of Motorola's stock watch faces on the 360. 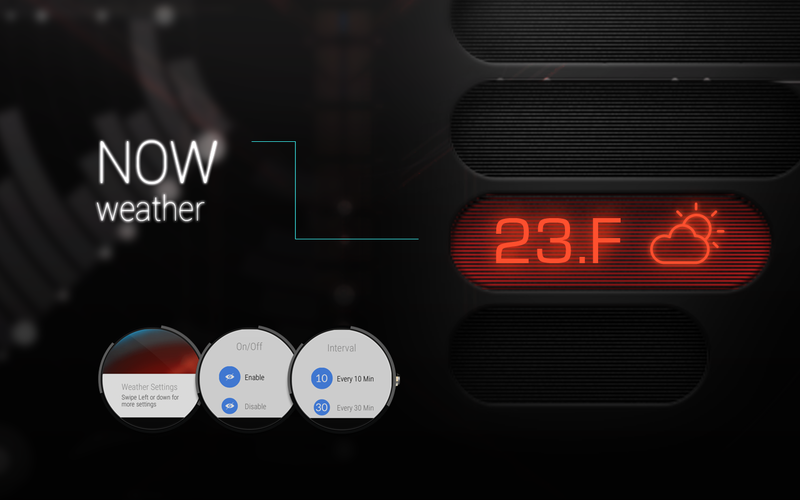 The rest of the face has a few glowing info boxes with the weather, date, battery, and so on. 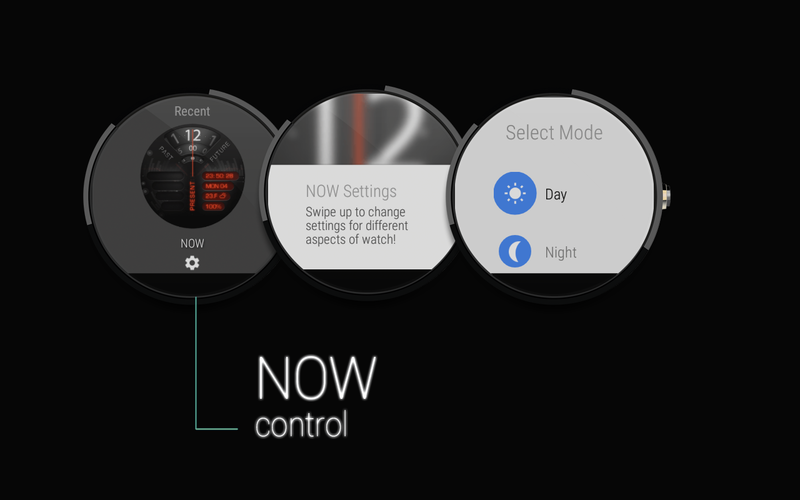 NOW works on any Android Wear device, but it obviously makes a lot more sense on a round watch. 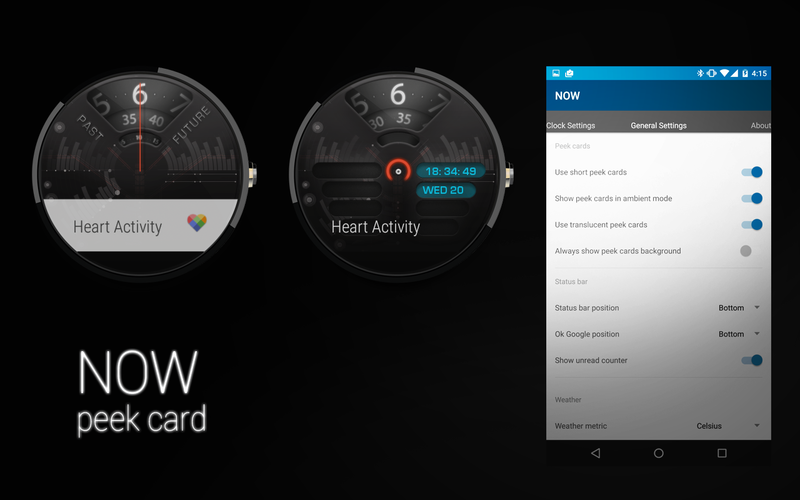 The NOW watch face will run you $1.65 in the Play Store.